The United States has been "at war" for more than a decade. Yet as war has become normalized, a yawning gap has opened between America's soldiers and the society in whose name they fight. For ordinary citizens, as former secretary of defense Robert Gates has acknowledged, armed conflict has become an "abstraction" and military service "something for other people to do." 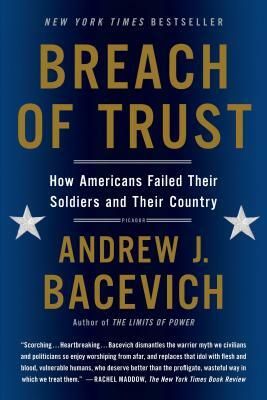 In Breach of Trust, bestselling author Andrew J. Bacevich takes stock of the damage this disconnect has wrought. National defense, he argues, should become the business of "we the people." Should Americans refuse to shoulder this responsibility, the prospect of endless war, waged by a "foreign legion" of professionals and contractor-mercenaries, beckons. So too does bankruptcy—moral as well as fiscal.